An online petition for Microsoft to support OpenDocument was launched today by the OpenDocument Fellowship. Microsoft has stated that the company will support the OpenDocument format in MS Office if there is customer demand. This petition will demonstrate that customer demand already exists. The OpenDocument Fellowship, a volunteer organisation with members around the world, calls on everyone who uses MS Office, or who has an interest in open standards, to sign the petition at http://opendocumentfellowship.org/petition. "I request that Microsoft fully support the OASIS (Organisation for the Advancement of Structured Information Standards) OpenDocument Format for Office Applications in its MS Office product. This should include the ability to read, edit and write OpenDocument files reliably, according to the format specification." 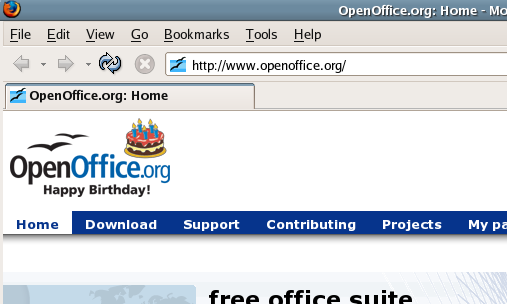 The default file format for OpenOffice.org 2.0, KOffice 1.4, StarOffice 8, IBM Workplace and other applications. The required office format for internal archives of the US State of Massachusetts. A format that fulfills the European Union's criteria on open standards. "OpenDocument is important because it keeps your data accessible and promotes competition," said Jason Faulkner, press contact for OpenDocument Fellowship. "People want their information to be free, and competition is good for customers. OpenDocument brings open architecture to your data in the same way that the IBM PC brought open architecture to computer hardware. The competition encouraged by that has seen ever-improved performance and decreasing prices of computer hardware." OpenDocument is designed not just to handle all office type files but also to integrate with the Internet. Users whose data is stored in OpenDocument format will never again face the problem of not being able to access data because the application that created it is no longer supported. Open standards already enable users of different computer systems (both hardware and software) to access the Internet and communicate with each other. ODF enables users of different computer systems and software to freely exchange and use files. Vote for ODF! 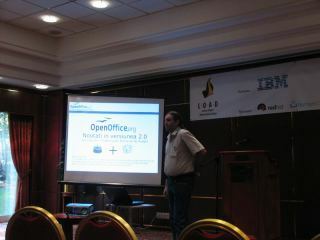 Linux Open Alternative Days is a business oriented conference and I was invited to keep a presentation on OpenOffice.org. Obviously, the subject was the classic "What is new in OOo 2.o" with a touch on the Romanian Native Language Project. 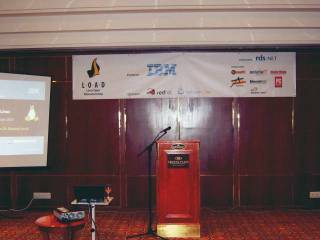 My slides are in Romanian language and available here. I am trying to understand what is this Tango Desktop Project, beside the claim of "exists to create a consistent user experience for free and Open Source software with graphical user interfaces". The Icon Theme Guidelines look like a fork of the GNOME HIG but using instead a very bright look for icons, it reminds me of KDE. Beside the talk about all Open Source GUI applications, of GNOME, KDE and Mozilla, the people behind it are exclusively GNOME people from Novell. Maybe I am mistaken, but it looks to me pretty much as a HIG fork, as adopting it by GNOME would obsolete its own guidelines.